I can get your Body Working & Feeling better than you ever thought possible and get you living that healthier, happier and calmer life you deserve. Massage will improve mental outlook, reinforce positive attitude, promote relaxed states of mental alertness, enhance calm and creative thinking and allow for you to handle stress better. Body Work is a key to overall happiness. Whether you are on the job or at home, you work extremely hard every day. We can help from muscle aches to severe joint problems. We can help you reduce anxiety or regain Range of Motion. Contact us today to see what I can do for you. Amazing!!! I went in for a full body and after talking about my issues he suggested just from glutes and up and I don’t regret it. It was phenomenal for that hour and he even gave great suggestions for helping with my anxiety and depression in relaxing my body. Definitely will return again when I visit Winona. Wayne has worked on my low back and neck/shoulder area with great success of loosing these muscles to eliminate the pain I was having. He does a great deep tissue massage but can adjust to gentle hands if this meets your needs. Wayne treats his clients with TLC. Wayne did massages for our girls weekend for five of us ladies! He did a great job! Very relaxing and professional!!!! Can’t wait until we come back for our next girls weekend and have Wayne back again!! Wayne is a gentle giant. He is very aware of his patient’s energy and strives to give an experience that not only targets personal needs but overall wellbeing. He puts you at ease from the moment you meet him and works with you to make sure he is meeting your needs and providing a quality experience. Wayne came to our facility to do chair massages for our staff. Not only was he extremely flexible with our needs as a 24 hour facility, he was very knowledgeable, kind, and considerate of our staff. Wayne is professional and strives to meet the individual needs of each person he sees. Our staff was very appreciative of his services. I have Fibromyalgia and my muscles are very tense and sore, I started seeing Wayne in February and he has been able to relieve some of the pain, and stiffness, I leave there feeling totally awesome. Wayne is very professional and caring. Wayne did a wonderful job meeting our needs of offering massages for our employees. He was professional and flexible. Our staff really appreciated the chair massage service Wayne provided. THANK YOU!!!! I am already feeling the relief, and can’t wait for my next session. I appreciate how you want to make your clients comfortable, know what’s going on, ask if the pressure is ok, etc. I’m glad I found you. Very knowledgeable as well. 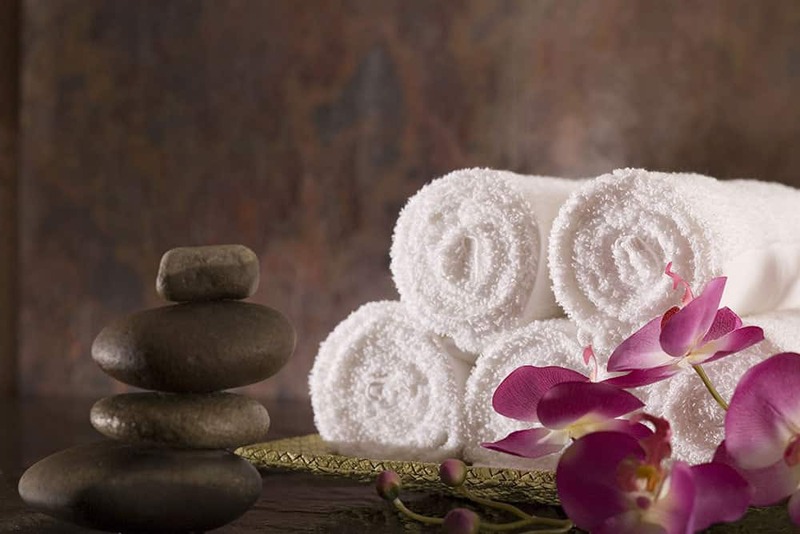 I’ve had massages from different facilities, and you understand what your client needs. My visit to Wayne Kulas Massage Therapy was beyond exceptional. Wayne was more than willing to accommodate my chaotic schedule and set up a late-night session. I was referred to Wayne when I had a huge knot and was unable to turn my neck. I left an hour and a half later absolutely elated and relaxed. Not only did he rectify my pain but he explained to me where it was coming from. He is incredibly professional, informative, and well priced. I recommend Wayne for your next massage therapy session! Wayne came highly recommended to me. I’d been told he was friendly, warm, and a skilled and caring massage therapist. After an hour and a half massage, I could turn my neck again, my shoulders relaxed, and even my mood improved. I will definitely be going back for another round of massage therapy. Very knowledgeable and professional. I had a significant increase in mobility after my first session. I would highly recommend Wayne. Wayne is very attentive to your specific problem area’s. Massages I’ve had in the past focus on your issues briefly and move on. It’s great going to somebody that actually focuses all of their attention and energy trying to mak you feel comfortable again. I strongly and highly recommend Wayne to anyone who talk about getting a massage! I have been working with Wayne for a month now. He does a wonderful job, am feeling much better. I like the way Wayne explains what he finds and always checks to see if you are doing okay. Great job Wayne!! Extremely nice person. I received a two hour massage. Very professional and talented. I scheduled an appointment last minute and he came in early to squeeze me in. The consult was professional and informative and the massage was excellent. I will definitely be going back. Hands down the best massage experience I have had. Wayne Kulas is very experienced in the technique of massage therapy and is able to relive even the most annoying aches and pains. I always come out of my sessions feeling relaxed and pain free, highly recommend going to see Wayne if you are in need of a massage. I’ve been going to Wayne for several months and highly recommend him! One of the best massages I’ve ever had. I struggled with shoulder and lower back issues as well as headaches and since I’ve been going to Wayne I’ve been feeling great and no more headaches! If you’re looking for a great massage go see Wayne!! Wayne did a great job helping me solve issues with the muscles in my upper back. I went in for a deep muscle massage. It was a very welcome environment and Wayne Kulas did an amazing job! It truly helped and I can’t wait to go get another one! Wayne gave me an amazing massage! He worked through all my problem areas very thoroughly and I’m feeling great. Excited to have found such a great therapist and looking forward to our next session! Thank you Wayne! Wayne does an amazing job! I have been to so many massage therapist but have never been able to get the results that I did with Wayne! He is so clean and professional, and provides the greatest experience! I will never go any place else! I look forward to my up coming appointments because I know after every session I’m going to be a little more flexible and pain free than before I came in! Also a little lighter because the atmosphere is so relaxing. Let’s just say I will be a repeat customer. The quality of the massage was excellent and he always ensures you are comfortable and relaxed. I can tell by his professionalism that he sincerely cares about the well being of his clients. I would highly recommend giving him a try if you are looking for an outstanding massage. Great service! Love the online booking option! Good advice for stretching to try to help resolve the underlying issue.